The Hydroseal Phone Case features a touch–sensitive window, allowing you to continue to use the phone whilst it stays protected. Now there’s nothing stopping you bringing your beloved tech with you on every adventure, be it white water rafting or trekking through sand dunes. Lifeventure's IPX7 rated construction prevents the ingression of water, sand and dirt. Insert your belongings into the pouch, run your thumb and index finger along each side of the two track LocTop closure and shut with the secure fastening. 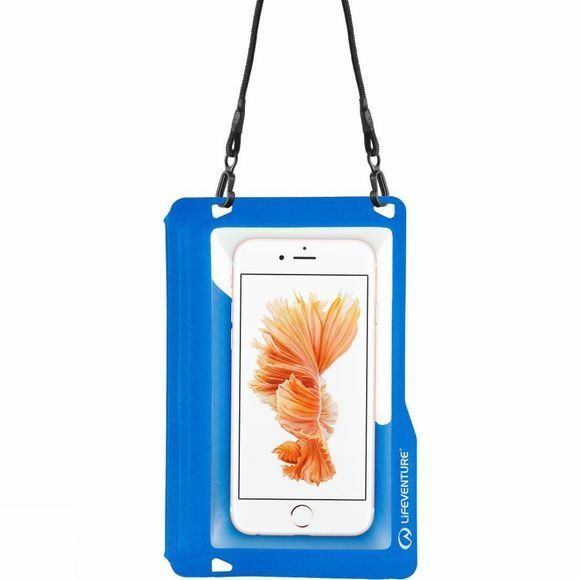 You can either wear the case around your neck using the lanyard or secure it to your gear using the four lash points.